National Assembly member for Gokwe Nembudziya Mayor Justice Wadyajena. 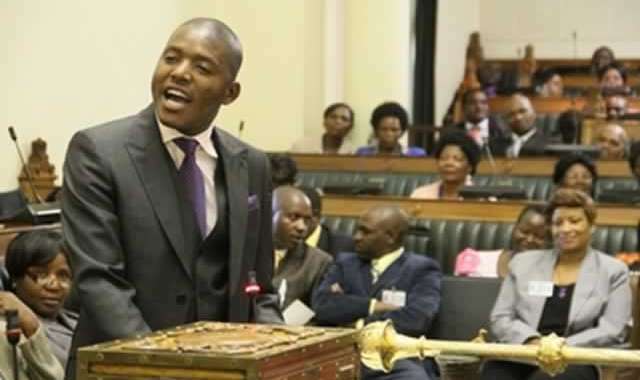 Parliament’s inquiry into grain procurement by the Grain Millers Association of Zimbabwe has taken a new twist with the association seeking the recusal of portfolio committee chairperson and Gokwe Nembudziya legislator Cde Justice Mayor Wadyajena. GMAZ led by Mr Tafadzwa Musarara wants Cde Wadyajena who chairs the Portfolio committee on Agriculture, Water and Climate not to participate in the inquiry either as chairperson or as member. Lawyers representing GMAZ, Wintertons legal practitioners have since written to the Speaker of the National Assembly, Advocate Jacob Mudenda outlining events that took place in an outside Parliament which they argued made them feel that Cde Wadyajena might not handle their case fairly. The lawyers for GMAZ wants Cde Wadyajena to be removed from participating from the inquiry based on some social media posts in which the legislator is alleged to have issued, expressing outrage over the conduct of the association. One of the post GMAZ cited was when Cde Wadyajena questioned the prudence for the association to publish newspaper adverts with documents which he said they had initially told the Committee that they were still compiling.